The new publication Rothko/Sugimoto was published in conjunction with an exhibition held at Pace London from October 4th-November 17th, 2012. 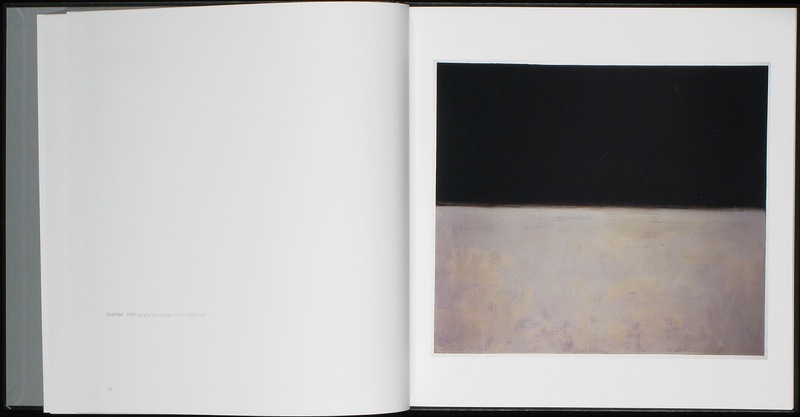 The book and exhibition feature works by Mark Rothko from 1969, the year before his death, contrasted with many of Hiroshi Sugimoto's Seascapes from the 1990s. 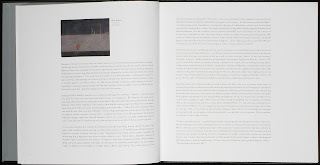 The hardbound 12 1/4 inch square exhibition catalogue begins with an essay by Richard Shiff drawing obvious visual connections between the work and their allusion or non-descriptive connections to the land and sea. 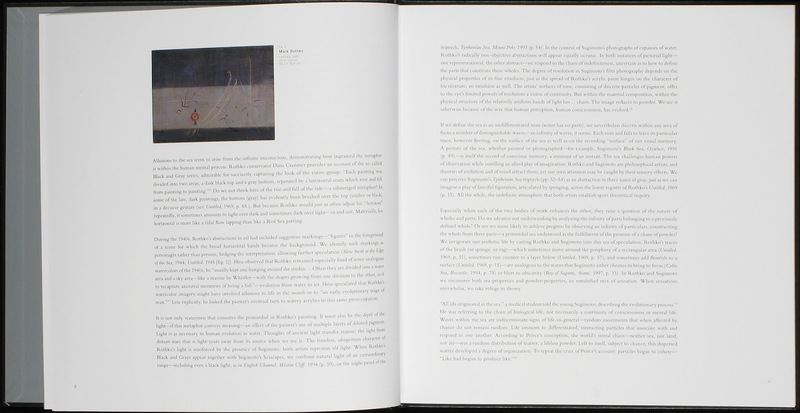 Shiff connects the artists' work with something much larger than the artists-the organic, the universal, the infinite- Rothko and Sugimoto's non-self image-making, both defining the "artist" as those who can guide humanity by witnessing and archiving the world. The essay adds depth to what would already be an aesthetically rich comparative experience. The plates are printed in tritone with separations by Thomas Palmer and printing by Meridain Printing in Rhode Island, two of the finest practitioners in their respective field. The gallery has reproduced 16 of Sugimoto's silver gelatin photographs and 17 of Rothko's later untitled acrylic paintings on paper mounted on canvas with one gatefold of Sugimotos's Tyrrhenian Sea, Mount Polo triyptch. 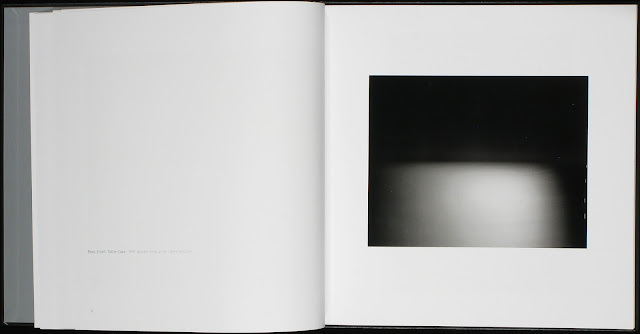 Sugimoto's Seascapes strike the eye with varying degrees of white and black with subtle tones of grays that developed based on the artist's exposure, time of day or night and source of light--Boden Sea, Uttwil; English Channel, Weston Cliff; Lake Superior, Cascade River all glisten on the page as the silver print might illuminated on the Pace London walls. The seascapes speak with Rothko's neutral tone paintings-a palate not of vibrant, striking colors, but abstracts of muted and organic tones. The horizon line, if we may also use this term for these works by Rothko, grounds the book without creating any sense of boredom in its connection. The dialogue of the work is so simple visually, but so complex intellectually.